A Kids Madagascar King Julian Costume including Jumpsuit and Padded Head – Ideal for a TV & Film, Book Week, or Animal themed fancy dress occasions! 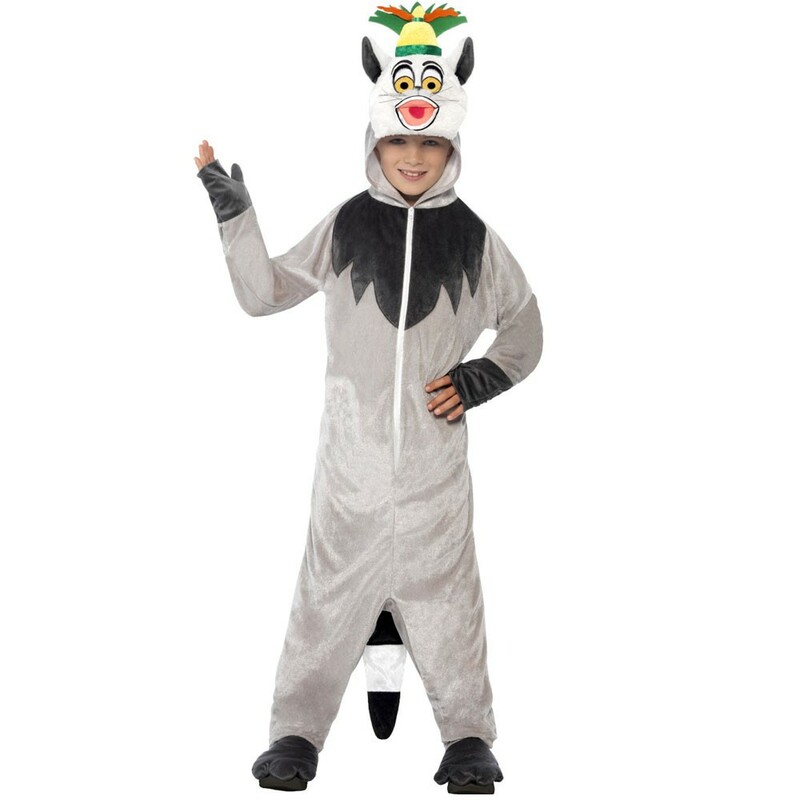 Reveal your wild side with this fantastic Kids Madagascar King Julian Costume. This licensed costume comes complete including an All-in-One Jumpsuit and Padded Head. This grey plush jumpsuit features a full length zip, attached Tail, feet, and attached gloves. This brilliant Kids Madagascar King Julian Costume includes a Padded Head with King Julian character design. This Kids Madagascar King Julian Costume is perfect for a TV & Film theme, Cartoon, Book Week, or an Animal themed fancy dress occasion. 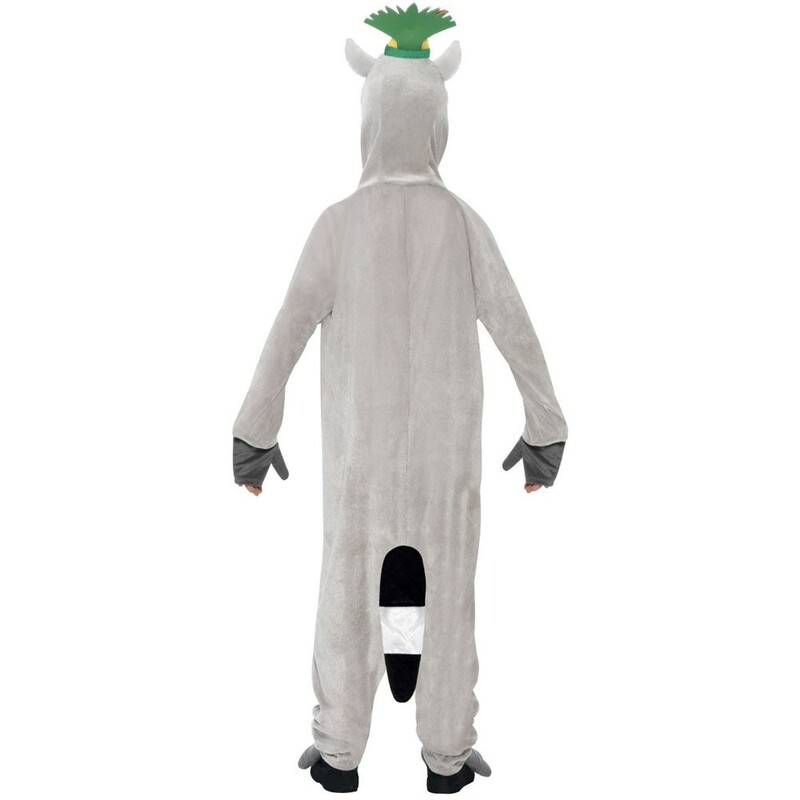 Enjoy your wild side with this amazing Kids Madagascar King Julian Costume. Available in sizes Kids Small and Medium. 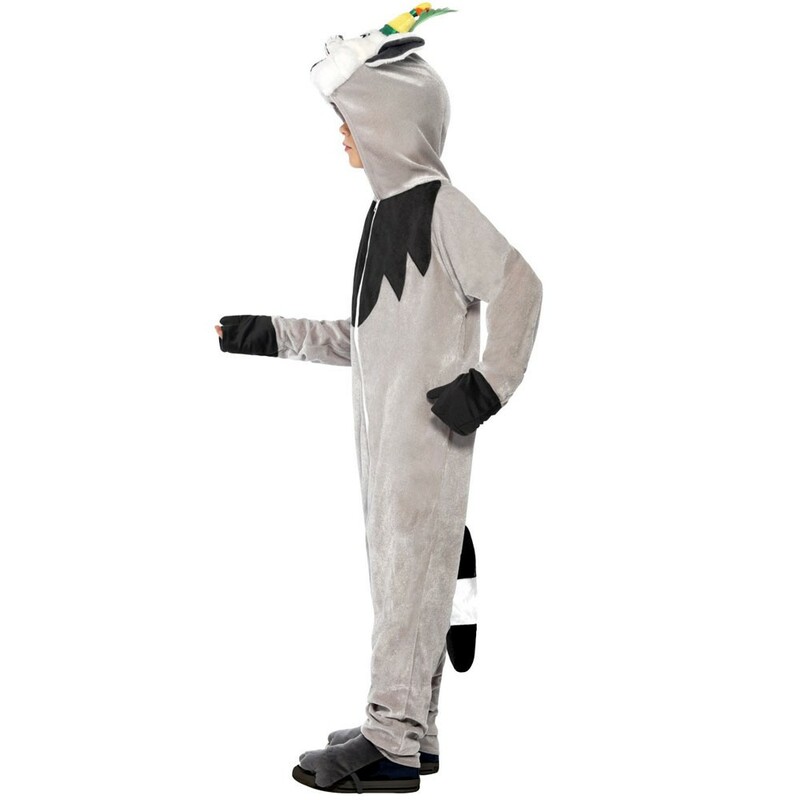 A Kids Madagascar King Julian Costume including a Jumpsuit and Padded Head.